Yes, Turkey is a contracting state to the New York Convention (the Convention). It has been in force since 8 May 1991. Turkey has declared that it will apply the Convention on the basis of reciprocity as per article I. It further declares that it will apply the Convention only to disputes arising from commercial relationships. Turkey is also party to the European Convention on International Commercial Arbitration, as well as the Convention on the Settlement of Investment Disputes Between States and Nationals of Other States and the Energy Charter Treaty. Approximately 140 bilateral agreements signed by Turkey on protection and promotion of investment also contain arbitration clauses. Turkey has executed 124 bilateral investment treaties and 76 of them are in force. Legal provisions concerning domestic and foreign arbitral proceedings and enforcement of awards are all set forth under different laws: domestic arbitration proceedings under the Code of Civil Procedure (CCP), international arbitration proceedings under the International Arbitration Law (IAL), and recognition and enforcement-related provisions under the International Private and Procedure Law (IPPL). the main contract or legal relationship provides for the transfer of capital or goods from one state to another. Despite the Model Law only covering commercial arbitration, the IAL and the CCP do not distinguish based on the commerciality of the dispute. Unlike the Model Law, the IAL and the CCP involve provisions concerning the objection mechanism against arbitration agreements. There is no time limit for rendering the final award under the Model Law but both the IAL and the CCP state that unless otherwise agreed by parties, an award shall be rendered within one year as explained under question 36. The Model Law, the IAL and the CCP all regulate the application for setting aside an arbitral award but they apply different time periods. parties’ right to submissions and defences. The IAL regulates that the arbitrator or tribunal shall primarily apply the rules chosen by parties for the merits of the dispute. If the parties do not choose such rules, the arbitrator or tribunal shall decide in accordance with the substantive law of the state to which the dispute has the closest connection. Unless otherwise indicated, the choice of a particular state law shall be construed as directly choosing its substantial law, not its conflict of laws rules or rules of procedure. The CCP, however, is silent concerning the law applicable to the merits of a dispute, so arbitrators may apply Turkish substantial law or a foreign law. the Istanbul Arbitration Centre (ISTAC; http://istac.org.tr). The ISTAC Arbitration and Mediation Rules (ISTAC Rules) are particularly similar to the International Chamber of Commerce Arbitration Rules, and include provisions for the appointment of an emergency arbitrator and a fast-track arbitration mechanism. ITOTAM has officiated under IsCC since 1978. ITOTAM Arbitration Rules (ITOTAM Rules) also include provisions for the appointment of an emergency arbitrator. ITOTAM Rules may only be applied if at least one of the parties is a member of the IsCC and it is a commercial dispute. Fees are calculated on the basis of the disputed amount. If the amount cannot be determined, the council of ITOTAM shall fix the fees. Disputes related to real rights over immovable assets in Turkey or issues that do not depend on the discretion of parties are not arbitrable. There is no specific provision about arbitrability of competition and intellectual property law-related matters. The majority of the doctrine asserts that issues falling under the Competition Authority’s exclusive scope, and disputes arising from Turkish Trademark and Patent Office decisions are not arbitrable. However, compensation claims of a civil nature concerning competition, and disputes concerning the exercise of intellectual property rights or the violation of moral rights, are arbitrable. The Supreme Court analyses it from another perspective, and states that disputes concerning public policy are not arbitrable. Arbitration agreements must be in writing, and they shall be deemed in writing if they are recorded in a written document signed by both parties, or in a letter, telegram, telex, fax or by other means of communication or electronic platform, which is exchanged between parties. It is also sufficient as a written form if the respondent party in its response petition does not object to the existence of a written arbitration agreement. Arbitration agreements may also be contained in general terms and conditions, or established by referring to other documents. According to the doctrine, arbitration agreement is an accessory right and may be transferred by assignment of claim according to the TCO. The Supreme Court held that the arbitration clause in a bill of lading shall bind the consignee once it obtains the bill of lading with endorsement. Pursuant to the Turkish Commercial Code, the insurer shall legally succeed the insured upon payment of insurance indemnity, so if there is an arbitration agreement between the insured and the party liable for loss, the insurer shall subrogate the insured. There are no specific regulations under the CCP or the IAL; therefore, unless otherwise approved or agreed by parties, a third party cannot participate in the arbitration. Except for mandatory arbitration - regulated in certain codes such as consumer protection law and football federation law - arbitration is only possible between parties who concluded an arbitration agreement. According to the law, each company has a separate legal personality. Therefore, the vast majority of doctrine defends that the arbitration agreement signed by a group company shall not bind non-signatory parties based on the principle of proportionality. There are no provisions allowing or prohibiting parties to execute such an agreement, so parties may agree upon multiparty arbitration. The law only regulates restrictions on the independence and personality of arbitrators, and parties are free to appoint anyone as an arbitrator, or determine the requirements of an arbitrator, according to the principle of party autonomy. However, active judges and prosecutors cannot act as arbitrators since they cannot be involved in any moneymaking activity other than those regulated by law. Law academicians and lawyers mostly sit as arbitrators. However, in some specific cases, such as construction or shipping trade disputes, parties may assign other experts. There is no tendency to provide for gender diversity in institutional appointments. If there is no provision for the appointment of arbitrators, three arbitrators shall be appointed. Each party shall appoint an arbitrator and these two arbitrators shall appoint the third. If a party fails to appoint an arbitrator, or the party-appointed arbitrators fail to determine the third arbitrator in the period specified by law, the appointment shall be made by the competent court. In respect of the institutions mentioned in question 7, the council or board of the relevant institution shall appoint the arbitrator. Arbitrators may be challenged if they do not possess the required qualifications; there is a reason for a challenge under the arbitration procedures determined by the parties; or circumstances and conditions give rise to justified doubts on the independence of an arbitrator. The parties are free to determine the procedure for challenging the arbitrators. The party who desires to challenge shall inform the other party in writing within 30 days under the IAL (two weeks under the CCP) from the date of the appointment of the arbitrator or tribunal, or the date when the relevant party became aware of the reason for the challenge. The challenging party notifies the tribunal. If the challenge is rejected, the challenging party may apply to the court. A challenge to a sole arbitrator, or all members or decision-making majority of a tribunal, shall only be made to the competent court. If the assignment of an arbitrator terminates for any reason, he or she shall be replaced by a successor arbitrator according to applicable arbitration rules. There is no general tendency to apply or seek guidance from the IBA Guidelines on Conflicts of Interest in International Arbitration. However, as arbitration is confidential, no figure can be provided. The Supreme Court held that the relationship between the parties and arbitrators is a mandate contract. It is mandatory for arbitrators to be free and independent even if they are appointed by the parties. Otherwise, it may create a reason to challenge that arbitrator. The parties may determine remuneration of the arbitrators. The only liability regulated under the law is the failure to fulfil duties. Unless otherwise agreed by parties, the arbitrator shall be responsible for indemnifying parties’ damages arising from the arbitrator’s avoidance or non-performance of his or her duty without any justified cause. It is completely different from, and limited in comparison with, judges’ liability. If an action is brought before the court about a matter that is the subject of an arbitration agreement, the respondent, in the response petition, may raise an arbitration objection and dispute the court’s jurisdiction. Arbitration objection shall be reviewed and solved according to preliminary objection provisions of the CCP. The competence-competence principle applies and the tribunal may rule on its own jurisdiction, including any objections with respect to the existence or validity of the arbitration agreement. The jurisdictional objection should be raised no later than the submission of the defence statement. In specific cases, the tribunal may admit a later objection if it considers the delay to be based on justified causes. Jurisdiction objection shall be reviewed as a preliminary question. Parties cannot apply to courts to object to a tribunal’s decision on jurisdiction, but they may allege it as a ground for requesting that the award is set aside. If parties have not agreed on the place of arbitration, it should be determined by the tribunal according to the circumstances of each case. The language of arbitral proceedings may be Turkish or the official language of any other country that is recognised by Turkey. The language of the arbitration should apply to all written statements, hearings, interim decisions, awards and other communication of the tribunal. According to the IAL and the CCP, unless otherwise agreed by parties, arbitral proceedings shall be deemed initiated (i) on the date when the request for the appointment of arbitrators is made to a court of first instance, or to a person or institution that appoints arbitrators, (ii) if both parties are responsible for the appointment of arbitrators, on the date the claimant’s notification for appointment of the respondent’s arbitrator is received by the respondent or (iii), if the arbitration agreement includes the name of the sole arbitrator, or names of the tribunal, on the date the request for arbitration is received by the respondent. One copy of all pleadings submitted by any party, as well as documents annexed thereto, shall be provided to each party, arbitrator and, if any, the secretariat. According to ITOTAM Rules, the date on which the request of arbitration and payment of the registration fee have been received by the secretariat shall be deemed to be the date on which the arbitral proceedings are initiated. comments regarding the place of arbitration, applicable rules of law and the language of the arbitration. ISTAC Rules apply the same procedures and rules as ITOTAM for the commencement of arbitration. Neither the IAL and the CCP nor rules of the institutions mentioned in question 7 require a hearing to be held as a mandatory procedure, but their rules differ slightly. According to the IAL and the CCP, the tribunal shall decide whether a hearing is required unless parties agree that no hearing shall be held. If one of the parties requests a hearing, the tribunal shall hold it at an appropriate stage of the proceedings. According to the institutions’ rules, the tribunal may hold a hearing either upon the request of any party or at its discretion. The tribunal decides on the rules that will apply for evidence procedures, and at its own discretion may appoint experts, require parties to submit information and documents to the expert, and decide discovery procedures to be carried out. Unless otherwise agreed by parties, the expert may participate in a hearing upon request of one of the parties or at the tribunal’s discretion. In this hearing, parties may ask questions to the expert and request their own party-appointed experts to be heard. In principle, evidence must be submitted by the party having the burden of proof, and parties should list and submit all their evidence, or at least relevant information, within the period determined by the tribunal for the submission of evidence. The IBA Rules on the Taking of Evidence in International Arbitration (IBA Rules) are not automatically applicable, and require the parties’ agreement to be binding for an arbitration proceeding. However, in practice, parties generally agree on IBA Rules and, if not, most arbitrators use the IBA for guidance. Under the IAL, the tribunal may request assistance from the competent court for the collection of evidence, particularly for documents and information found with official authorities and, in such case, provisions of the CCP shall apply for these proceedings. In principle, courts intervene not at their own discretion but upon the request of parties. If a party does not comply with an interim measure or attachment adopted by the tribunal, the other party may request assistance from the competent court to take an interim measure or interim attachment decision. In the case of failure to appoint arbitrators, either of the parties may request the competent court to make the appointment. Courts of first instance also act as the decision makers for the challenging of arbitrators by parties and for appealing arbitral awards. There is no express provision for confidentiality under the IAL or the CCP, so it is discussed and ruled by the parties or tribunal. Proceedings or decisions of competent courts shall be open to the public in any case. ISTAC Rules state that unless otherwise agreed by parties, arbitral proceedings shall be confidential. ITOTAM Rules also state that all arbitral proceedings, including hearings and documents provided by parties, shall be kept confidential. Before or during arbitral proceedings, parties may request courts to rule on an interim measure or interim attachment, and this should not be deemed as contrary to an arbitration agreement. If a party obtains an interim measure of protection or interim attachment from a court before the arbitral proceedings, the party should commence the arbitral proceedings within 30 days from the date of such interim decision. Otherwise, the interim decision shall automatically become void. The court decision with regard to an interim measure or attachment shall automatically cease to have an effect when the arbitral award becomes enforceable or when a tribunal denies the case. There is no emergency arbitrator concept under the IAL or the CCP, but ISTAC and ITOTAM Rules allow the party who needs interim legal protection for the period before a sole arbitrator or tribunal begins its duty to apply for the appointment of an emergency arbitrator. Under these Rules, parties may always decide that emergency arbitration provisions shall not apply. The tribunal may order an interim measure or interim attachment upon the request of parties, but the tribunal’s interim measures shall not be binding for third parties or deemed as an exercisable order by execution offices or official authorities. The tribunal, at its discretion, may require any party to provide security in connection with an interim measure or attachment request. There are no specific provisions for sanctions against guerrilla tactics under the law or institutions’ rules. Therefore, general principles of applicable law should be taken into consideration by the tribunal. Unless otherwise agreed by parties, decisions of the tribunal shall be adopted by the majority of its members. If a member of the tribunal or parties grant authority, the presiding arbitrator may rule on his or her own on certain procedural matters. Dissenting opinions do not, on their own, prevent an award being adopted if affirmative votes of the majority of the tribunal are maintained. Comments and objections of the dissenting arbitrator may be written in the final award. In practice, sometimes dissenting members abstain from signing the award, but it shall not effect the validity of the award provided that the award is adopted and signed by the majority of tribunal members. a statement that action for setting aside the arbitral award may be filed. Unless agreed otherwise by parties, the tribunal may render partial awards with regard to the subject of the arbitration. Unless otherwise agreed by parties, an award shall be rendered within one year from the date the sole arbitrator is appointed or, in case of a tribunal, from the date the tribunal’s first meeting notes are taken. This one-year period may be extended upon agreement of parties or by court. According to ISTAC Rules, the time limit for the award is six months from the date the signatures on the terms of reference are completed, and may be extended by the board of arbitration. ITOTAM Rules set the limit as one year, and refers to its arbitration court for an extension of this time limit. Within 30 days of the award being delivered, either party may request from the tribunal correction of the award in terms of error of facts relating to typos, calculation or similar errors; interpretation of the award; or a supplementary award in relation to matters that were raised during arbitration but not settled under the award. Any challenges or lawsuits for setting aside an award shall be filed within 30 days of the date when the award, correction, interpretation or supplementary award is notified to the relevant party. The tribunal can grant final awards, and unless otherwise agreed by parties, it can also grant partial awards. If, during arbitral proceedings, parties agree on a settlement, the tribunal may record the settlement in the form of an arbitral award. an advance on costs is not deposited within the relevant period. Costs of arbitral proceedings shall be borne by the failing party unless otherwise decided by parties. If both parties’ claims are partially accepted in the award, the costs shall be allocated among parties in proportion to the degree of justification of their claims. Cost allocation in domestic court proceedings also has similar rules. notification expenses related to arbitral proceedings. There is no provision in the IAL or the CCP restricting the tribunal from awarding interest. Interest rates shall be determined according to applicable law, and parties may always agree on a certain interest rate on the condition that it does not contradict with good faith principles and mandatory provisions of law. Pursuant to the IAL, as discussed under question 37, each party may request a correction or interpretation of the award, or a complementary award. After getting the other party’s opinion, if the tribunal recognises such claim, it shall make the relevant correction or provide the necessary interpretation within 30 days of receiving the request. With regard to complementary award requests, the award should be issued within 60 days. The tribunal may also correct the above-mentioned errors on its own initiative within 30 days of the date of the award. the regional court of appeal finds the subject matter of the dispute incapable of settlement by arbitration under the law, or that the award is in conflict with public policy. An action for setting aside an award should be filed before the competent regional court of appeal within 30 days from the delivery of the award, or within 30 days of the correction, interpretation or complementary award (one month under the CCP). Each party is entitled to apply to the competent regional court of appeal to have the award set aside under the procedure defined in question 44. The regional court of appeal’s decision with regard to the action for setting aside the award can be appealed under the CCP. However, legal grounds of an appeal are limited to the same legal grounds applicable to the setting aside of an award. An action for setting aside an award takes approximately one to two years to conclude, and the appeal takes approximately one to one-and-a-half years. In practice, the applicant is entitled to pay fixed charges and advance expense fees. The official attorney fee to be paid to the successful party’s attorney upon the finalisation of such an action shall be determined as per the minimum attorney fee tariff. Such costs and attorney fees shall be borne by the failing party. The Convention is the primary legal source for the enforcement of foreign arbitral awards in Turkey. The Convention can be applied in Turkey for the recognition and enforcement of awards with a commercial nature that are granted in the territory of another contracting state. Therefore, if the arbitral award in question is obtained in any of the contracting states, and if the award is not deemed a domestic award under Turkish law, the Convention applies. If these requirements are not fulfilled, recognition and enforcement of foreign awards will be governed by the IPPL, whose provisions are mainly parallel to the Convention. Regarding application for the enforcement of foreign arbitral awards in Turkey (under the IPPL or the Convention), a petition in writing must be filed before the relevant competent court together with an original or certified copy of the arbitration agreement or arbitration clause, an original or certified copy of the arbitral award, and certified translations of these documents. Grounds for refusing recognition and enforcement of foreign arbitral awards are defined under article V of the Convention and article 62 of the IPPL. There is no requirement for recognition and enforcement of an arbitral award rendered by an arbitral tribunal seated in Turkey, but a certificate that approves execution of the domestic arbitral award may be issued by the competent court. There are no specific legal provisions defining a limitation period applicable to filing an action for recognition and enforcement of foreign awards. However, according to the Law on Execution and Bankruptcy, the time limit for initiating proceedings for enforcement of judgments is 10 years. Although the relevant provision does not directly refer to foreign arbitral awards, it is advised to file actions for enforcement of foreign arbitral awards within 10 years from the award date. Under the Convention and the IPPL, an award that has been set aside by a court located at the place of arbitration may not be enforced in Turkey. The IAL, the CCP and institutions’ rules contain no provision with regard to the enforcement of orders by emergency arbitrators. An application fee of 35.9 Turkish liras (in 2018) must be paid when filing an action for enforcement of foreign arbitral awards. The Supreme Court has rulings indicating that enforcement of a foreign arbitral award is subject to decision announcement fees if the award is related to the collection of a receivable. However, the Supreme Court’s latest decisions regarding court fees in the enforcement of arbitral awards have been inconsistent, and there are conflicting decisions stating that fees for commencing enforcement actions shall be calculated on a fixed fee basis. There is a crucial difference between proportional and fixed decision announcement fees because a proportional decision announcement fee is calculated as 6.8 per cent of the amount in dispute. One-quarter of proportional fees must be paid in advance by the applicant; however, they can be recovered from the failing party at the end of the proceeding. The remaining three-quarters must be paid by the failing party when the decision is rendered. Fees are updated annually. Evidence and discovery proceedings are explained under questions 26 and 27. The law does not provide for a discovery or document production procedure as exists in the United States. There are no specific professional or ethical rules regulating counsel in international arbitration. However, the Attorneyship Law and Professional Rules (the Professional Rules of UTBA) set by the Union of Turkish Bar Associations govern the professional and ethical rules to which attorneys are bound. Attorneys are under the obligation to carry out their duties with care, accuracy, integrity and faithfulness to the trust of the profession, and comply with the Professional Rules of UTBA. They must avoid any attitude or behaviour that would damage their reputation; they are also obliged to pay attention to this in their private life. In a dispute, an attorney who is legal aid to one of the parties has an obligation not to represent conflicting parties. Attorneys should keep secrets of their client confidential, and this confidentiality obligation is not limited to a certain period. Many of these ethical principles are parallel to international practice. Third-party funding is neither prohibited nor regulated under the law. There are no regulations dealing with this issue so there is no obstacle for parties to get third-party funding from a company abroad. Some Turkish companies have even searched for this possibility relating to their arbitration proceedings that would be held in Tajikistan and Turkmenistan. Depending on their nationality, foreign practitioners from certain countries may need a visa. Therefore, before planning their business trip to Turkey, foreign practitioners should obtain the necessary information on visa requirements from their consulates or the Ministry of Foreign Affairs of Turkey. They also should consult their tax advisers in relation to tax liabilities such as value added tax and withholding, depending on their nationality and the applicable double tax treaties. The standard contracts annexed to the Implementation Regulations to the Public Procurement Act were amended by the Public Procurement Authority, with regulations published in Official Gazette (OG) No. 30286 dated 30 December 2017. Public authorities can now refer to ISTAC arbitration for both domestic and international agreements. Thus, this amendment to the public procurement regulation shall ensure the resolution of disputes in a more efficient and cost-effective way compared with local court proceedings. A new Communiqué on International Arbitration Fee Tariff was published in the OG No. 30360 dated 14 March 2018. The Law on Amendments to the Enforcement and Bankruptcy Law and Other Laws, published in OG No. 30361 dated 15 March 2018, introduced important amendments to arbitration proceedings. Pursuant to the latest amendments, the competent court in actions for setting aside arbitral awards is the regional court of appeal both under the IAL and the CCP. With regard to other actions related to arbitral proceedings, a civil or commercial court of first instance shall be competent depending on the nature of the dispute. 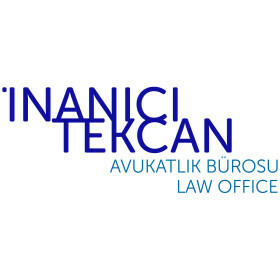 İnanici-Tekcan Law Office has advised local and foreign clients since its foundation in 1987. Its main practice areas are Intellectual Property, Arbitration, Software, Corporate, Competition, Media and Cinema Law and the Office provides legal services at all stages from consulting to representation in arbitral and court proceedings.